Full day trip from Paris to the Belgian town of Bruges, also known as the "Venice of the North," a UNESCO World Heritage Site since 2000. Surrounded by a network of canals, the historic center of Bruges has retained its medieval charm and is home to plenty of architectural and historic gems. Leave our agency in central Paris at 7:15 a.m. for an unforgettable day in Bruges in Northern Belgium (arrival scheduled for around 11 a.m.). Your visit will begin with a guided walking tour of the Gothic brickwork architecture of the medieval center, lasting around 1 hour and 30 minutes. During your walk, you will take in the sights of the stunning Grand Place Square, the Market Hall with its bell tower, the 13th-Century Notre Dame Cathedral, the Benedictine convent (Le Béguinage), and the majestic Town Hall. 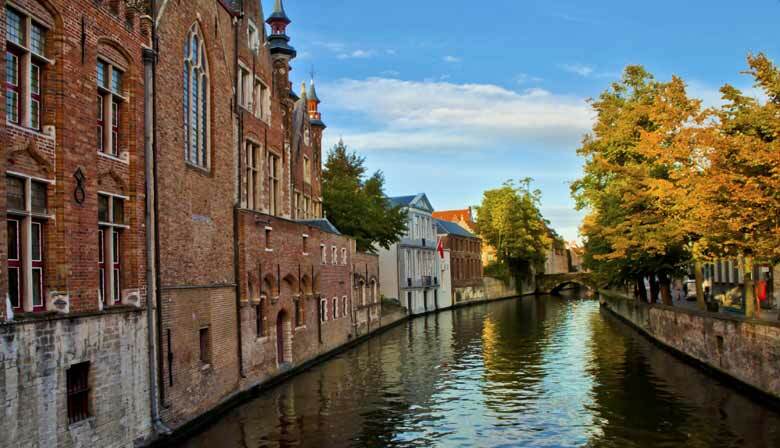 In Summer (April to October), take to the water for a short cruise along the town's canals to admire its wonderful Flemish mansions and immerse yourself in Bruges's peaceful and mystical atmosphere. Enjoy the town at your own pace with lunch in a local restaurant. Sample the region's specialties (mussels and fries, traditional Flemish sweet and sour beef stew, waffles, etc. ), visit some of the many museums, learn about Flemish art and local craftsmanship, or taste some delicious Belgian chocolates. Departure from Bruges is scheduled for 4:30 p.m., arriving back in Paris at around 9 p.m. The guide was good and informative. Brugge was beautiful and unique. So glad this bus tour was an option, because otherwise I would of never made it there. Finding the office in the morning was easy and so was check in. I had the guided tour. It was nice and it felt good to learn the history. If you are looking to not have to “figure” your way through Brugge I would recommend the guided tour. I don’t think it’s detrimental to the experience. So even if you just pay for bus, you’ll be okay. Overall would recommend ! Very long journey, should consider using trains instead. Our guide was excellent and travel was comfortable. okay...almost impossible to understand the English of the French guide...easy to hear and understand her very legible Japanese except we couldn't of course understand it. I did not like that tour was conducted in English & Portugese. I felt that I was missing info that guide could have told us or the tour was taking longer than necessary.